The meeting was called to order @ 2:00 P. M.
Mr. Hensel was welcomed as the newest member of the Committee. Mr. Root informed the Committee of his inability to continue the time commitment he has, in the past, given to the business of the committee and offered his resignation. It was agreed that, due to Mr. Root being an extraordinary source of SVRA history, he should be retained as a member with the understanding that he would only participate as his other commitments allowed. Mr, Root agreed and withdrew his resignation. Mr. Kovach introduced Mr. Sessions as our new General Manager as of Jan. 15, 2010. Mr. Sessions and Mr. Kovach then stated that all bank statements, since Oct. 31, 2009, have been reconciled to the penny. Mr. Sessions will provide the Committee copies of the reconciled bank statements once a quarter. Mr. Sessions said that the implementation of the Point of Sale (POS) software and its integration into the accounting system is proceeding nicely but there are still some glitches. He is confident the remaining problems will soon be resolved. A review of Bar operations and accountability took place. In general, inventory will be reduced by the bar offering only a limited selection of beverages and the POS will provide a more accurate accounting of sales. A similar discussion took place concerning the Pro shop. Considerable effort will be made to serve our members needs but reduce the amount of carry over inventory. There was discussion about the annual twilight golf pass that was implemented so members with limited time availability could utilize the courses but at a reduced rate. So far, there has been a very limited number of these passes sold but, it is thought, as more members become aware of their availability, more will be more sold. Mr. Sessions reviewed the Profit and Loss statement and the Balance Sheet. The BOD has decided it would be more cost effective to consolidate our banking operations. Therefore the Wells Fargo accounts are being transferred to The Bank of Star Valley. There was $74,000 spent on Capital Improvements in 2009 but those were funded through Operations. $74,000 was therefore transferred from the Capital Fund to the Operations fund. The Auditor has advised that the IRS does not recognize the existence of an “Emergency” fund for a non-profit corporation. Any funds we reserve for “emergency” will therefore be included in the “Capital” fund. We are selling the Green Canyon water tank to the town for $420,000. We will have those funds by June 30. The BOD has directed the money be deposited in the “Capital” fund. The first big expenditure will be for the water line down Green Canyon for our irrigation system. Mr. Sessions advised that, as the BOD approves funding for each Capital Improvement project, he will set up a separate line item for that improvement. This will allow him to advise the BOD on the progress & estimated cost of each project. It was pointed out that Chuck Hewins, as Chair of the Long Range Planning Committee, presented a “Capital Improvement Program” to this committee in Oct. of last year. That CIP has not, as yet, been approved by the BOD. Mr. Kovach informed this Committee that the BOD is considering consolidating and streamlining the activities of the association committees. Mr. Sessions expressed his desire and intent to integrate all of the departments into one Management team with the intent of maximizing the utilization of all staff members for the betterment of the association. Mr. Archibald reiterated the goal of having Golf Operations being self funded and he feels we are making substantial progress in achieving that goal. Mr. Sessions reviewed his efforts in cost reduction by getting competitive bids from area suppliers. Mr. Kovach and Mr. Sessions reviewed their efforts to collect past due assessments. There has been considerable success but for a variety af reasons many have not been collected. There are about 30 2009 delinquent lots. He has not been able to locate the owners of eight of these lots. The last resort in the collection process is legal action and that may be necessary for a few of these lots. At present there about 300 delinquent lots for 2010. ‘Mr. Sessions reviewed his intended procedure for developing the annual “Operating” budget. In general he will accept the responsibility to work with his staff to develop the budget and present it to this committee. He will need guidance from the committee and the BOD as to the level of funding etc. that he can expect in the budget development. Mr. Archibald and Mr. Sessions reiterated the intent of having all committee minutes and the General Manager’s report published on the association web site so as many members as possible can be kept informed. Mr. Sessions informed the committee that our lawyer is reviewing the authority of the BOD in reducing the assessment to $300. It is agreed that the BOD had and has the authority to set an “effective” assessment less than the base. What is in dispute is whether the BOD had the authority to change the base assessment at a percentage different than the CPI. The lawyer is also looking at the legality of the association utilizing some of the association owned lots as “common” areas rather than “residential”. The utilization of the Barn & Silo in light of the engineer’s report was discussed. Some retrofitting has been accomplished and it is generally agreed that both structures are reasonably safe for their present use. It is apparent however, that the future of both structures is in question and decisions concerning them need to be made in the near future. Those decisions will probably revolve around the expenditure of considerable “capital” funds. The Cook Shack now has an ADA restroom with a concrete ramp leading to the door. The improvement to the shack is now complete. The BOD, during the May 15 meeting approved $25,000 of “capital” funding for cart path improvements during 2010. It is anticipated there will be a $25,000 annual expenditure of “Capital” funding for cart path improvement until there is no longer a need. The next meeting will be June 7 @ 3:00 in the Library. Meeting adjourned at 4:15 P. M. followed by an examination of the new bathrooms in the Cook Shack. Congratulations to Ernie for a job well done and thanks to Don McCormick and Jeff Earl for their work on the shack and ramp. The minutes of the Sep. 28, 2009 meeting were approved as amended. Mr. Kovach introduced Dave DeCoria and Wade Herchie of the firm Herchie and DeCoria. They made a short presentation concerning their Accounting/Audit experience and expertise along with a few preliminary observations concerning the SVRA financial reporting system. Herchie and DeCoria intend to present SVRA a proposal to provide Audit Services for 2009. After a short question and answer period Mssrs. DeCoria and Herchie departed the meeting. Mr. Archibald, in his capacity as Chair of the Greens Committee, reviewed the Greens Committee’s and Department request for the Capital Budget. There was an original request of $56,000 for a rough mower to be purchased in 2010. After further review Mr. Archibald recommends delaying that purchase to 2011 but would like half of the purchase price to be “earmarked” in 2010. Another requested Capital Budget item discussed was the requested purchase for $26,000 of a used tractor. Considerable discussion took place concerning our policy of owning, leasing or renting equipment. It was generally agreed that we need to give a rigorous examination to utilizing the rental option prior to making any capital purchase. Mr. Kovach presented a proposal from BOD member Ron Meeks to drop the effective assessment to $250 for 2010 along with a revised fee schedule for our recreational facilities and equipment. Mr. King pointed out that the BOD in their July meeting had given the F & L Committee a preliminary assessment figure of $334 to utilize in developing a budget. It was pointed out that we have 2014 lots which are subject to the assessment. Every dollar of the assessment therefore equals $2014 of revenue to SVRA. Mr. King made a short review of the 2010 Operational Budget including changes made by the BOD during their workshop meeting on Sept. 30. The changes were minor and for the most part involved some shifting of funds from one budget item to another It was additionally pointed out that there are always a few members who either by oversight or intent do not pay their assessment. SVRA will be aggressive in collecting delinquent assessments but they might not be collected in the current year. Members should be aware that any expenses incurred by SVRA in making the collection will be added to the total amount owed by the delinquent lot owner. It was agreed that the BOD is now doing their review of the 2010 Operational Budget and there is little need for the committee to make any further review unless it is desired by the BOD. Mr. Vandel pointed out that Operational Budgets are, by their nature; year to year and ordinarily don’t have large variations one year to the next. If forecasted income is less than needed for forecasted operational expenditures then forecasted expenditures must be reduced. If forecasted operational expenses are less than forecasted income then assessments or fees can be reduced. Capital Budgets, on the other hand, must be multi-year as a great number of capital purchases cost a great deal more than the income received in any one year. The financing of these capital purchases can be obtained through savings, which comes out of current income or by debt which must be serviced from future income. A creditable “Capital Improvement Plan” therefore must have some assurance of multi-year funding. Chuck Hewins, as Chair of the Long Range Planning Committee, was than introduced. Mr. Hewins then presented the “Capital Improvement Budget” as developed by the Long Range Planning Committee. Mr. Hewins pointed out the need for defining maintenance versus capital expenditures so LRP would have better direction for what to include in the forecasted utilization of Capital Funds. Considerable discussion took place concerning the various projects included in the “Capital Improvement Budget”. It was apparent that many decisions must be made by the BOD prior to expending large amounts of capital funds. It was however, agreed that our capital assets have suffered many years of neglect due to our lack of available funding during those past years. The formation of the town has enabled us to begin the long process of correcting that neglect as long as there is a predictable source of funding. After some discussion it was agreed that this committee understands the BOD has approved the expenditure in 2009 of $10,000 to replace two fuel tanks at the CC Golf Maintenance Shop, $4500 to install two exhaust fans in the Golf Maintenance Shop, $6500 for irrigation supplies and seed for the Cedar Creek Park Ball Field, and $5,000 for a fuel tank at the Aspen Hills Maintenance Shop. The planned expenditure of $6,000 for a new communications system is still waiting resolution. $17,750 has been authorized for the engineering study of our buildings and about $25,000 has been spent on our golf cart path improvements. Mr. King stated that once he receives approval to proceed, on any project, from the BOD then he begins the process of getting the various projects or purchases moving toward completion. At various times, during this meeting, it became apparent that the various subjects under discussion will be further discussed at the BOD workshop to be held on Tues. Oct. 13 in the Library. This will be open to the rest of the membership. Meeting adjourned at 5:00 P. M.
The minutes of the Sep. 14, 2009 meeting were approved. Mr. Archibald, in his capacity as Chair of the Greens Committee, presented his concerns about moving budget items related to the cost of maintaining our common area grounds from Facilities to Greens. 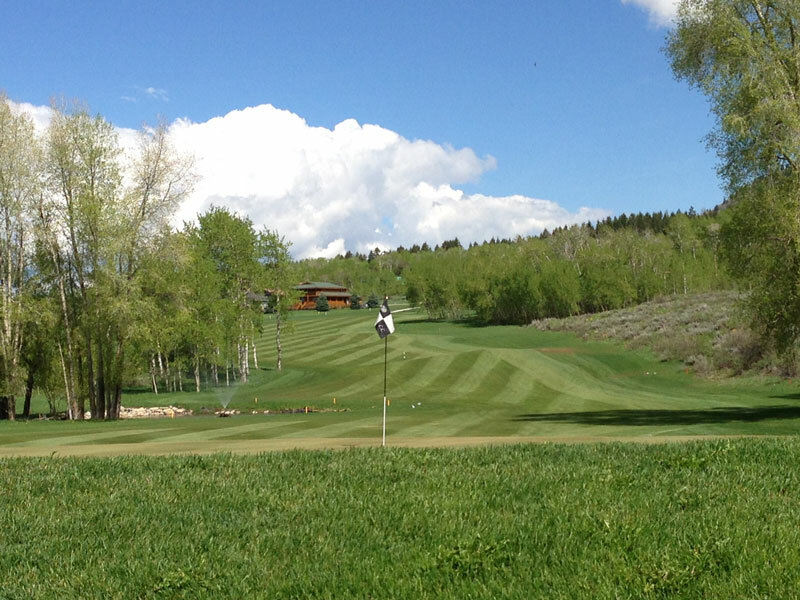 SVRA has the objective of making Golf operations as self sufficient as possible. Greens operation is included in the total cost of Golf operations. The additional cost of maintaining the common areas, that have very little to do with Golf operations, would create a false overall cost of Golf. The reason advanced for moving the budget items was due to their similarity to work, equipment and materials needed for course maintenance. It was decided to keep the budget items in the Facilities department but have the responsibility for Common Area maintenance be assigned to the Course Superintendent. Mr. King presented his draft budget. All of the Department heads have presented their budget requests to him and it was apparent that Mr. King has given the requests a rigorous review. He was commended for his effort and knowledge of the draft budget, as presented. Considerable Committee time was devoted to the various budget items, the committee’s perception of SVRA membership expectations, condition of facilities, fee structure, etc.. Mr. King informed this Committee of the Golf Committee’s efforts to establish an equitable fee structure and Golf Policy. In general, it was agreed that the demographics of our membership has and will continue to change. Our policies and emphasis will have to change with those changing demographics. The current effort to provide a field for soft ball, soccer, ice skating etc. is an example of SVRA response to those changes. Mr. Kovach informed the committee of a workshop meeting of the Board of Directors on Weds. The budget will be one of the main topics. An “Executive Session” will be held during this meeting to discuss staff salaries. Considerable discussion took place concerning the need for Capital expenditure to improve or replace our facilities. It was agreed that income received from the recent sale of some of our Capital Assets, to the town, should be retained in the Capital Fund until needed for capital expenditure. Part of this discussion revolved around the question of whether capital funds should be used for some needed adjustments to the course sprinkler systems. Agreement was not reached as some members considered that cost to be maintenance and therefore operational while others considered it to be an improvement and therefore a capital expense. Some discussion took place concerning attorney’s fees for collecting past due assessments. The attorney charges SVRA for doing the collection and SVRA is reimbursed upon collection of the assessment along with the fees. If all past due assessments are collected there should be no gain or loss on these attorney fees. General dissatisfaction was expressed concerning the quality of the 2007 and 2008 Audit report and the cost of same. There will be an effort made to retain a Wyoming and perhaps Star Valley located firm to perform the 2009 audit. There was general agreement that our telephone system needs a complete review and hopefully the review and necessary changes will be complete during 2009. Considerable discussion took place concerning the emergency services agreement with the town to provide water. The town currently pays SVRA $86,500 per year under this agreement. The town will no longer need the assurance once it completes its water enhancement work including the purchase of the Green Canyon tank. It is anticipated the purchase will be consummated by June and therefore the payment will be approximately $43,250 in 2010. Members of this committee, in the past, have stated that these funds should have been considered as extraordinary income and not included in moneys available for annual operational expenditure. That opinion was reiterated in this meeting. Mr. Daulton presented some background information concerning the formation of the “Recreation Committee”. This committee was formed in recognition of the fact that many of our SVRA members are interested in a diverse number of recreational pursuits. Mr. Daulton requested $1000 for supplies and $3000 for equipment purchases in 2010 to be utilized mostly for activities on the playing field at Cedar Creek Park. The committee agreed to add $4000 to item 7410-01 for this purpose. Considerable discussion took place concerning fees charged to non-members utilizing our recreational facilities. Several ideas were advanced but none were adopted. Mr. King observed that he is working with his staff and the other SVRA Committees on a revised fee schedule. Jim Vandel presented a draft “Capital Improvement Plan” currently being developed by the Long Range Planning Committee. This “plan” is still in the concept stage but should be completed in the near future. The plan, as envisioned, will have an itemized list of planned capital expenditures over a six year period. It is also envisioned that the Board of Directors will set aside $200,000 of assessment funds, every year, to be added to the Capital Fund. The F & L Committee will utilize this “Plan” to develop the annual “Capital Budget”. Depending on the cost of individual projects the “Capital Budget” will have large variations from year to year. Jim Vandel also presented a plan to provide all members, upon payment of their assessment, a certificate, for each lot they own, that could be redeemed by limited utilization of the recreational facilities at no additional cost to the member. Considerable discussion ensued. 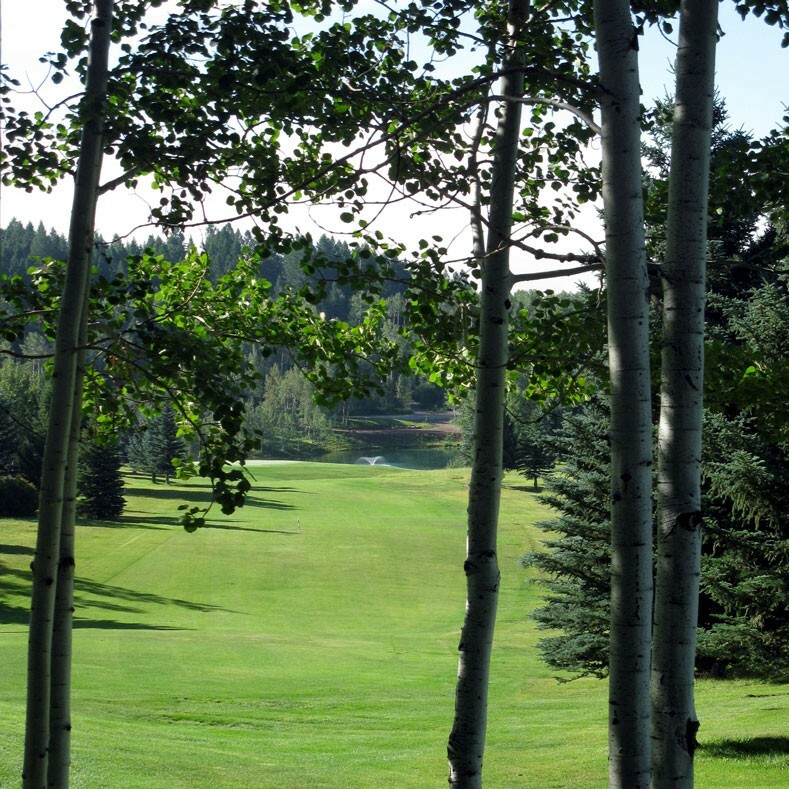 It was finally agreed to recommend to the BOD that certificates for two rounds of golf on Cedar Creek, two tennis passes and two swim passes would be issued for each lot owned upon payment of the annual assessment. Mr. Kovach presented several update changes he would like to make to the “Financial /Operations/Procedure and requested concurrence from the committee. The committee agreed that the changes were practical and needed. Mr. Vandel presented his concerns about the ongoing DCC&R enforcement controversy and the fact the problem does not get resolved. Since this is the Finance and LEGAL Committee he asked if this problem should be addressed by the committee. The board, to date, has not presented this problem to the committee for its’ review. Mr. Kovach stated that he was sure the problem would be discussed at the BOD workshop to be held on Weds. The next meeting of the committee will be at 3:00 P. M. in the Library on Oct.12, 2009. All SVRA members are welcome to attend. Meeting adjourned at 6:30 P. M.
The meeting was called to order at 3:00 p. m.
The minutes of the August 31,2009 meeting were approved. There was a discussion of the recently received 2008 audited financial report. Jere Kovach reported that the Board of Directors had asked him to look for alternative firms that might be used in the future. He recommends Hirschi DeCoria and Company, PC of Afton, Wyoming. This is a firm that specializes in audits for government agencies and non-profit corporations. They will visit the SVR business office in early October to look at our books. They will give us a bid for doing the 2009 audited financial report. Randy King presented the latest 2010 draft budget. He is working closely with the department heads to develop finer details on capital budget requests. We will have the opportunity to review Randy’s final draft at our next meeting. This draft, including our modifications, will be presented to the board at their next workshop. The goal is for the board to pass the budget and set the 2010 assessment at their October general meeting.